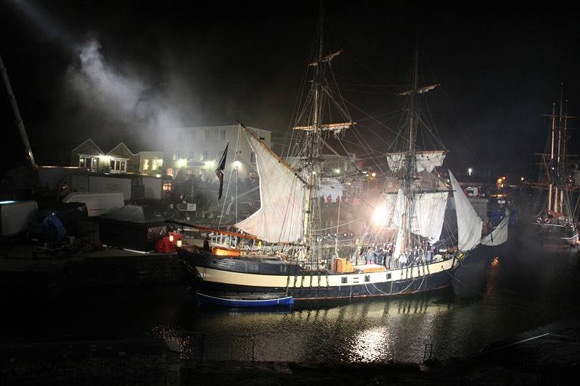 Its no particular secret that Doctor Who filming has been taking place on-board a “pirate Ship” in Charlestown, Cornwall. Below, past the BBC Cornwall news article are a few photo’s courtesy of Keith Martin from Eden-Project.co.uk. You can see many more pictures and links to videos on his website Here. Dr Who and his big blue Tardis have landed in Cornwall to film for the BBC TV series. Big crowds gathered to watch Matt Smith battling with space pirates on Tuesday 1 February. Charlestown has been used numerous times over the years for film and television productions. Records show the St Austell village was first used way back in 1929 in a silent movie called Street of Abandoned Children. 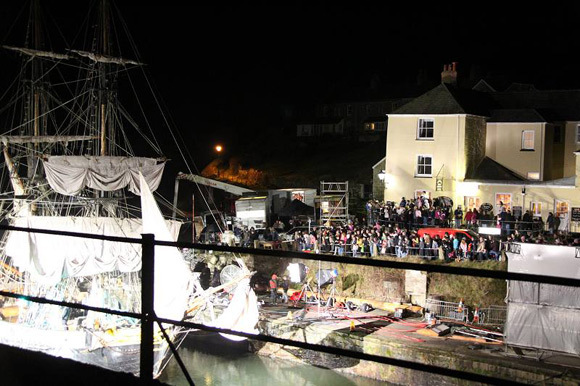 The filming of the new Dr Who series has seen Charlestown’s popular harbour taken over by a film crew. 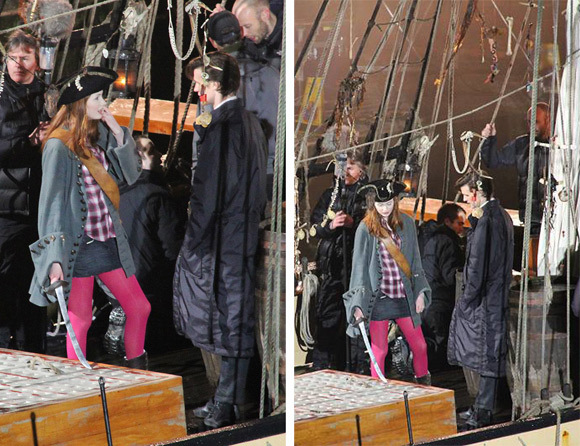 AMAZING SERIES 6 BUT DIDNT THEY PUT THE PIRATE FIGHT IN THE SERIES 6 TRAILER.”!! Can anyone tell me when series 6 actually starts????? 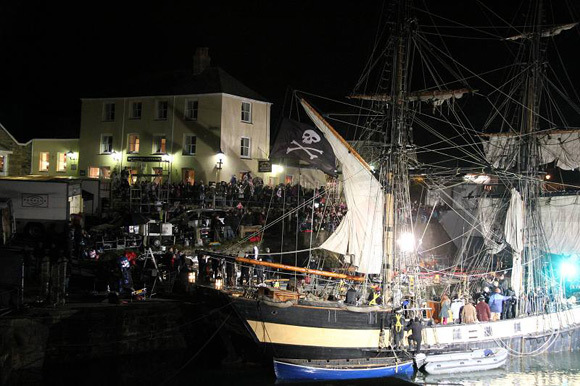 Is anyone able to say if the Pirate Ship used in the filming of this series is always at the harbour as a Tourist attraction ? LOOKS AMAZING! CAN’T WAIT UNTIL ITS ON TV! karen looks FUNNY in that hat! I reckon the pirates will be real, Rob. Capt Avery was a real man and is the central pirate in this story. From the sounds of things the aliens will be sirens…My personal hope is Sea Devils!!! This time Karen gets the hat! Lol! And no River Song to shoot it off I’d guess!! !